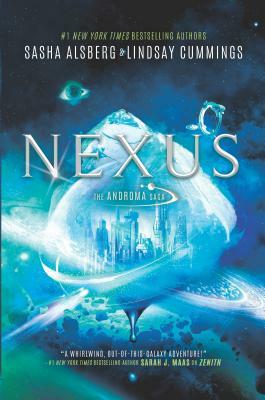 Return to the high-stakes, riveting world of The Androma Saga in this dazzling finale from #1 New York Times bestselling authors Sasha Alsberg and Lindsay Cummings.With her crew captured and her ship a smoldering ruin, notorious mercenary Androma Racella is no longer the powerful Bloody Baroness, but a fugitive on the run. And with most of the galaxy now trapped under the mind control of the bloodthirsty Queen Nor, not even the farthest reaches of Mirabel can offer safety for the queen's most-hated adversary.But Andi will risk anything, even her precious freedom, to save her crew. So when she finds herself stranded with bounty hunter Dextro Arez on the unforgiving ice planet of Solera, Andi seeks out the mysterious Arachnid, the one person who seems to be fighting back against the vicious queen...and uncovers the true, devastating reason for Nor's takeover.Back on Andi's home planet of Arcardius, Nor's actions have made Mirabel vulnerable to invasion from an outside force. Now allying with her mortal enemy may be the only way for the Bloody Baroness to save the galaxy--even if that alliance demands the most wrenching sacrifice of all.